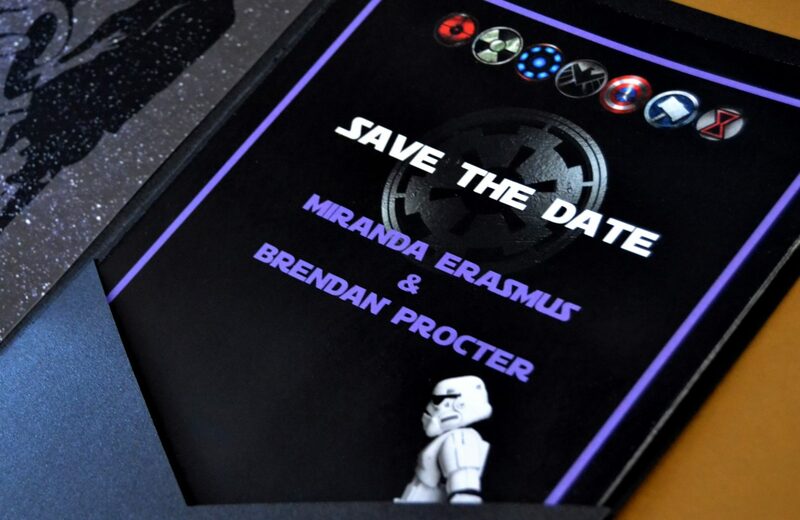 Miranda and Brendan had their suite designed but had to find the right way to present it to their guests. 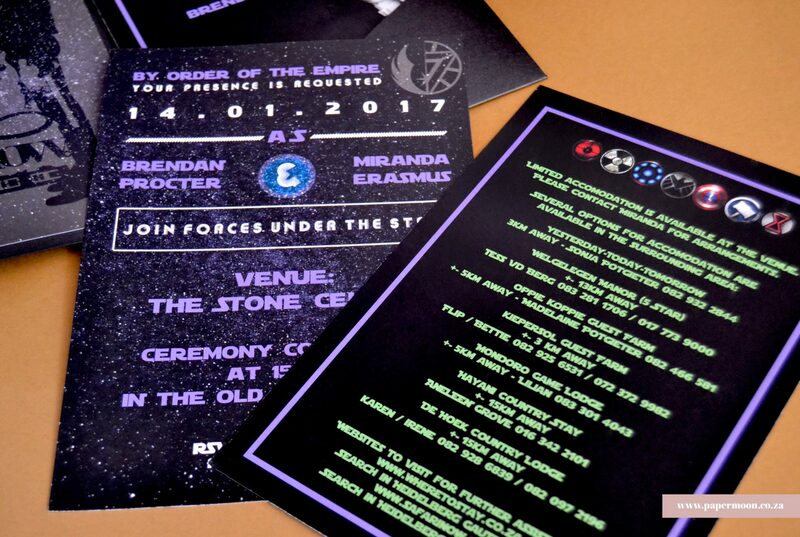 I opted for high colour card and a shimmery galaxy inspired cardstock to assemble pocket envelopes for their ceremony, accommodation and direction cards. 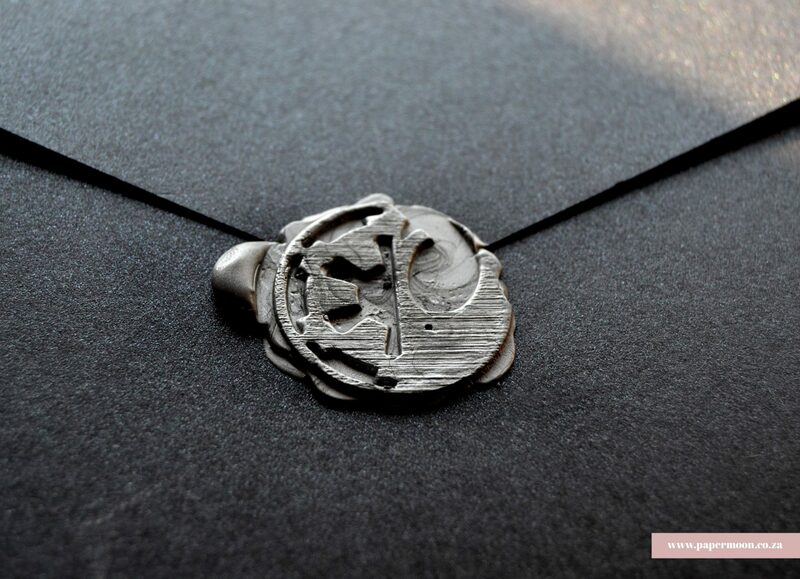 All held together nicely with a custom wax seal in silver – giving it a brushed metal feel.